With the change of season comes the need to definitely reassess our skincare arsenal accordingly, and how. In the cooler months, water loss from the skin increases due to low humidity and wind exposure, and then when you add the likes of air conditioning to the mix you have a recipe for sensitive, seriously grumpy skin. Legendary skincare name Aesop’s first New Zealand store officially opened in September of last year in Newmarket, Auckland, and with it came easy access to some of the most effective – and beautiful – skincare formulas out there. When it comes to seasonal change, Aesop encourages customers to listen to the needs of their skin and adjust their skincare as they see fit, and they certainly know what they are talking about. If you haven’t delved into its modus operandi of late, let’s just say that Aesop is not your regular high-end skincare, haircare, home fragrance and more company. There are no big promises, no celebrity endorsements, no glossy packaging and no advertising. As a brand, they are committed to celebrating science by integrating both plant-based and laboratory-made ingredients, and the efficacy of their product formulations is world-renowned. An interview with Aesop General Manager of Retail and Customer Relations Suzanne Santos told us “you need a blend of well-chosen man-made ingredients with exceptional botanical ingredients to make remarkable products”, and I personally have never met an Aesop product I didn’t like. I first encountered the brand many years ago on a trip to Sydney and after washing my hands with their premier luxury soap, I was irrevocably hooked. Their less-is-more approach appeals to the type of consumer who doesn’t need fruity surroundings and overbearing retail staff to tell them what is wrong with their skin or what their home should smell like, but those who are happy to pay slightly higher prices for authentic top-quality products that just make you feel good – and work. “Aesop’s skin care philosophy encourages people to take the time to observe their environment and consider the impact of modern day living on their skin,” says Dr Kate Forbes, Aesop’s General Manager of Products and R&D, who urges a return to skincare formulations that assist in cleansing the skin without stripping moisture as the mercury drops. 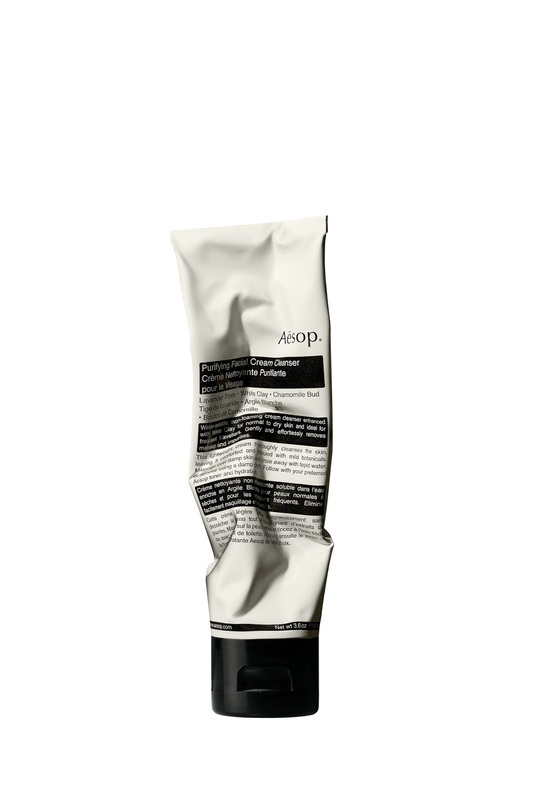 Aesop’s first recommendation for winter skin is their Purifying Facial Cream Cleanser, which I have just been having a play with. After just some tiny samples I have fallen head over heels in love with it, and with good reason. It is non-foaming and gently cleanses the skin without completely stripping the surface layer of its natural oils, and its earthy-meets-lavender-y scent is wonderfully grounding for the perfect before-bed ritual during the cooler months. 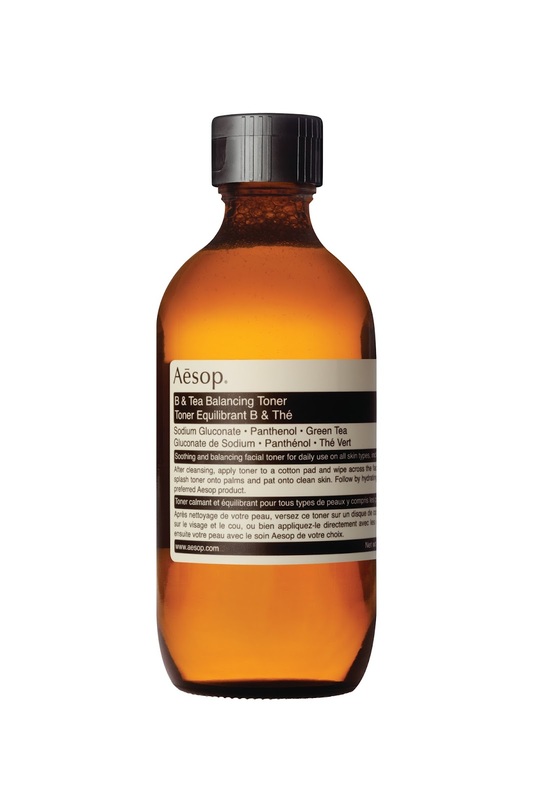 Next up, Team Aesop recommends the use of a gentle everyday toner, their B & Tea Balancing Toner being a great example. Suitable for even the most sensitive skin, it contains Provitamin B5, Green Tea extract and fortifying antioxidants, so is perfect for skin which is experiencing water loss. This toner balances the skin and refines pores while preparing skin for hydration, but isn’t drying at all. Last up, an effective moisturiser or facial oil is essential during the colder months, and Aesop has some wonderful options. The Camellia Nut Facial Hydrating Cream provides anti-oxidant fortification and nourishing hydration without a weighty after-feel, making it brilliant for the morning before makeup. Superbly emollient cold-pressed Macadamia Nut oil is included to soften the skin, while Camellia Nut oil and Chamomile oil pacify irritation and patchiness. In the past I have also used the brand’s Damascan Rose Facial Treatment for some extra care over winter – it’s a concentrated, nourishing treatment for extremely dry or distressed skin and uses ten precious plant extracts to deliver potent doses of Vitamins E and A to nourish, relieve and deeply hydrate parched skin. Love it.